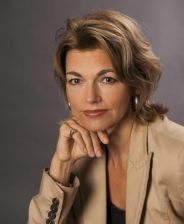 Anne Maria Moeller-Leimkuehler, PD Dr.rer.soc. Main research fields: gender and mental health, family burden, patient satisfaction. Organist, pianist and soprano soloist. My repertoire ranges from baroque to late romanticism. Many concerts, particularly as an organist and soprano soloist. Möller-Leimkühler AM, Bottlender R, Strauß A, Rutz W: Is there evidence for a male depressive syndrome in patients with unipolar major depression? Journal of Affective Disorders 2004, 80: 87-93. ‹ Guns and Health	› Said Shahtahmasebi, Ph.D.